The director Kevin Pollak decided to dedicate his film 'Misery Loves Comedy' to his friend and mentor Robin Williams, who committed suicide last year when Pollak just finished working the project. Kevin Pollak's documentary premiered at the Sundance Film Festival last Friday. The director recalled hoped his friend was part of the project and Williams was also interested but his occupations with 'The Crazy Ones' series not allowed to join the cast. 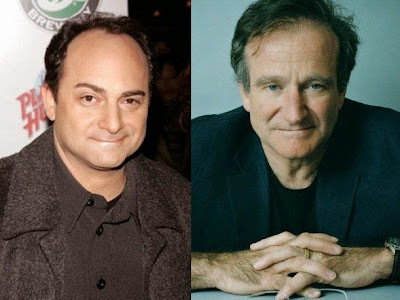 'Misery Loves Comedy' was dedicated to Williams by the close relationship he had with Pollak. The director said in an interview during filming, although unseen, were able to communicate by phone while Pollak was traveling one week in Los Angeles and New York three weeks. When he learned of the death of one of his dearest friends, I could not believe it. "We met since I started as a 20-year-old San Francisco. He was a true mentor and a great friend. I had to dedicate the film to him in the end credits." The story seeks to answer whether there is relationship between poverty, love and comedy, for that interviewed 60 comedians and actors to see if the comedy comes from misery. "I just think you're funny when you feel miserable," replied Jimmy Fallon. "Everyone has suffered from poverty," said Pollak. "It's a human condition. And the artist or writer or director or actor should he find a suitable way to make it universal," he concluded.